Tyler joined our practice, as our Optometric Technician, in March of 2013. His duties include pre-testing, contact lens training, special testing, assisting our doctors and helping patients with all aspects of glasses. 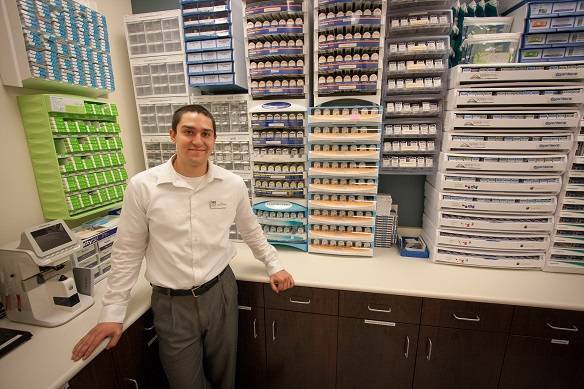 He is cross-trained in many aspects of the optometric field and is always excited to learn and help our patients! Tyler is also a Certified Paraoptometric. This training shows dedication and advanced knowledge in the field of Optometry.